Its been a great 2011 and Kreinik thanks you for your support. Looking ahead to 2012 we have some fun new products we are working on. This post will focus on some projects we are working on for 2012. New Facets & Petite Facets colors. We have added Copper and Pearl. These colors are amazing. 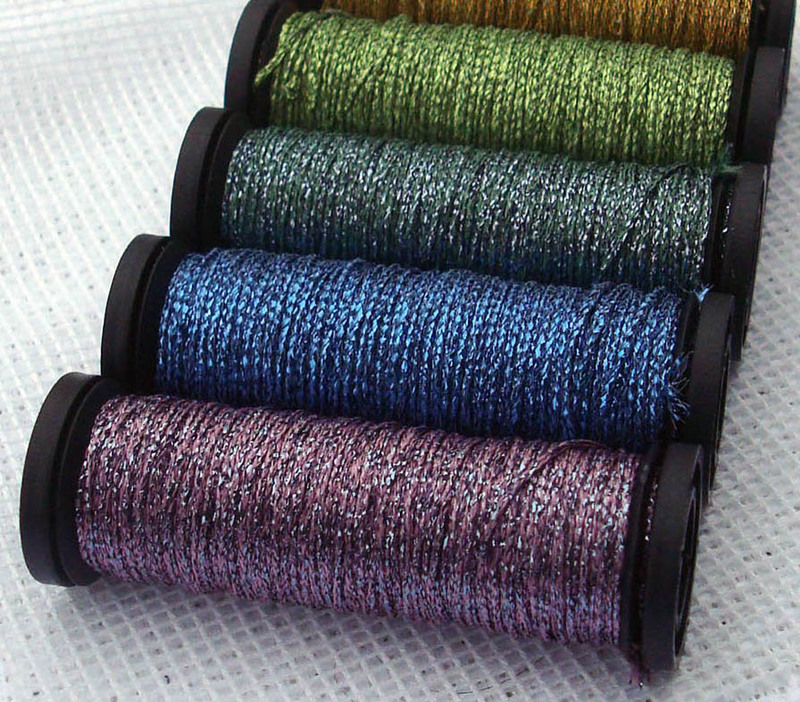 New Metallic Thread Colors. We're not sure how many colors we will have but we have a sneak preview below of some colors tying to make the final cut. Dyed Silk Gauze. Look for several colors of silk gauze dyed in colors like dark green and red. New Stitch-A-Pen designs. We are working on several new designs for our popular Stitch-A-Pen Series. Signature Series Assortments. Available in most metallic and silk threads, these color themed 4-packs will feature the top selling colors in each color family. Piping. A product fly fishers/fly tyers will love. We can make our piping in just about any metallic thread color. Glow In The Dark Dubbing. 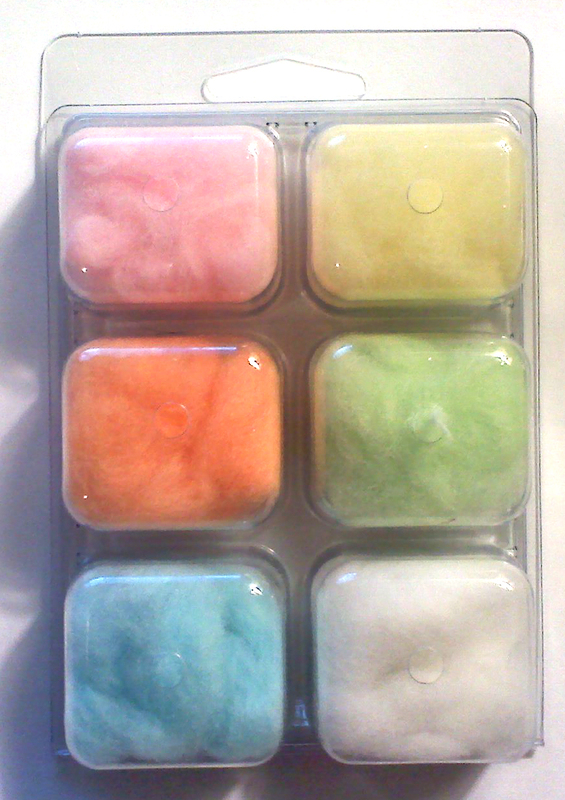 We will have 6 colors of dubbing for our fly fishing/fly tying customers. Years ago, we stopped giving each other gifts at the annual Christmas Party and began collecting different items to give to various agencies in the Parkersburg area. This year, the employees decided to collect for two different local organizations. Nearly seventy-five pounds of canned goods and pasta were donated to the Catholic Charities of West Virginia. As well as twenty-five sets of mittens and toboggans were donated to the Parkersburg Neighborhood Network. Hope you all have a Happy Holiday and see you when we get back in January. Pictured Left to Right: Cynthia Hudson of Catholic Charities of West Virginia, Beth Judy and Julie Boyce of Kreinik Manufacturing. Hanukah or Chanukah or Hannukah – there are many ways to spell the holiday. This is a fun time of eating greasy food like latkes and fried donuts, having family get-togethers, and of course exchanging gifts. 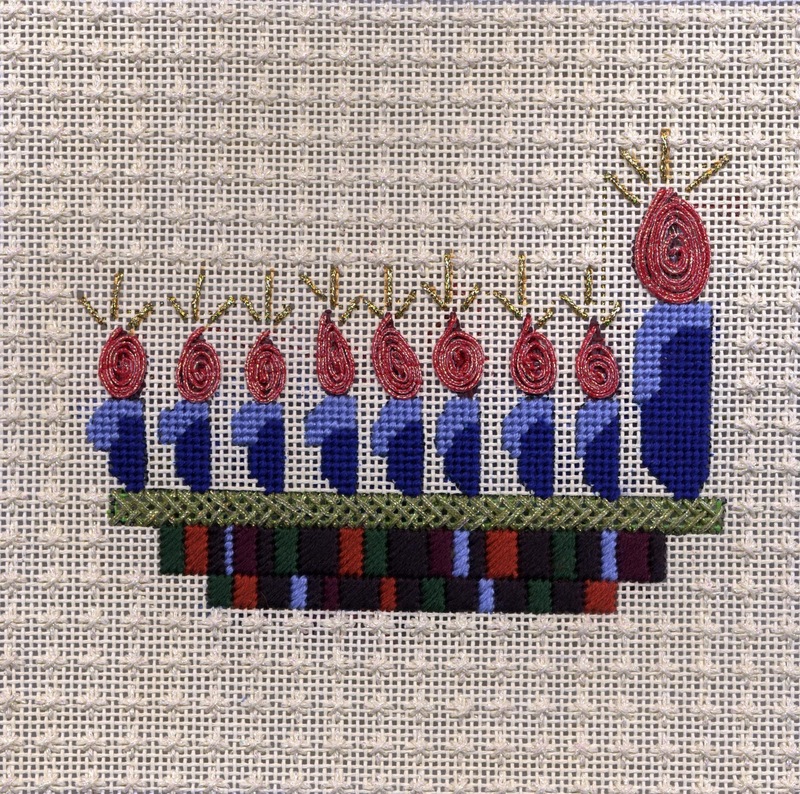 As a special Hanukkah spotlight on the Kreinik web site this year, we partnered with Michele and Renee at the fabulous needlepoint shop Gone Stitching (www.gonestitching.com) to offer new projects featuring Menorah and dreidel designs. The first four projects are stitch guides for painted needlepoint canvases (available through Gone Stitching), brought to gorgeous life with Kreinik silk and metallic threads. 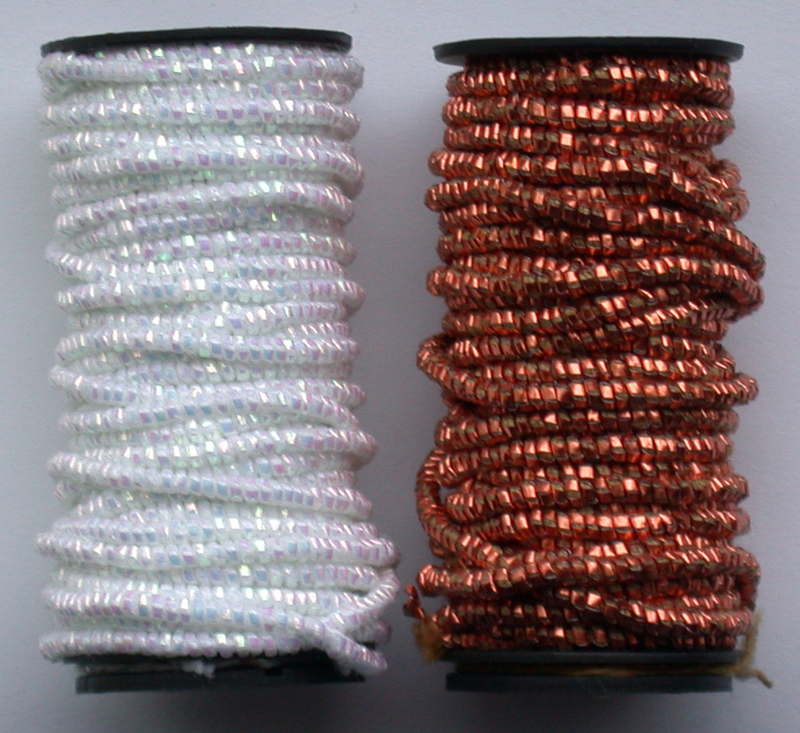 Click on this link to see the models and download the stitch guides: http://www.kreinik.com/kshop/home.php?cat=399 . The 8 Projects of Hanukkah on www.kreinik.com also includes four Stitch-a-Pen projects. The designs are from Gone Stitching, one from Jonathan Siegel (the renowned graphic designer whose art appears on the redesigned movie poster for Sony’s Taxi Driver) and one from our own Dena Lenham. These projects stitch up so quickly, you have time to order the supplies and stitch them for gifts or for yourself for the holidays this year. My mom, who is in her 90s, stitched a pen project in one evening, She especially liked the pen because it is easy to hold and uses a Parker Pen refill. The pens are fast and easy projects, all using Kreinik Metallics and/or Kreinik silks on perforated paper. Watch for new and exciting designs this next year. Have fun and enjoy the season. It truly is the most wonderful time of the year. Yes, it is time for family, friends, food, and free Christmas projects from Kreinik! Last year's calendar of 25 Days of Christmas Projects on www.kreinik.com was so popular, we brought it back to celebrate this year's season. Handmade gifts mean so much more than generic, mass-produced, mass-marketed, store-bought gifts — and they can save you money, too. With 25 fresh stitching, sewing and crafting ideas on www.kreinik.com, simply run, Rudolph, run to your local needlework store to get anything you may not have on hand. No local needlework store? 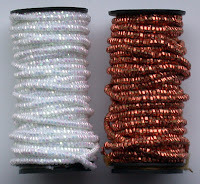 Buy anything Kreinik from www.kreinikmall.com, or from many other online retailers. 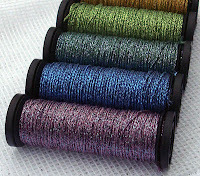 Five new projects will be released each week until we get to 25, so check back often on www.kreinik.com. Merry Christmas! Click here to see them. PS - Look for the 8 Days of Hanukkah Projects right here.